The Cuisinart CNTB-422 is a nonstick grilling basket that is ideal for cooking favorite fish, seafood, vegetables, and other delicate foods that may fall through traditional grill grates. Fill the basket and lock it in place to grill without fear, the large nonstick surface meaning that even the most delicate fish filets or thinly sliced vegetables are easily removed. And turning is easy thanks to the elongated heat-resistant handle. 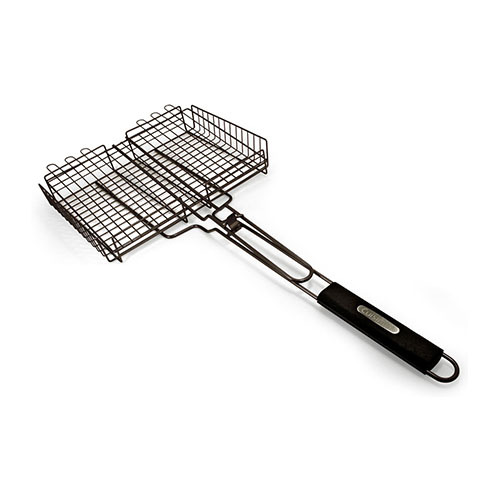 The Cuisinart Non Stick Grilling Basket has many exciting features for users of all types. You can extend the lifetime of your Cuisinart Non Stick Grilling Basket with the purchase of a FactoryOutletStore Factory Protection Plan. 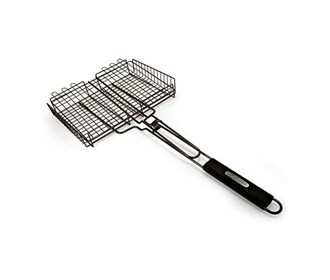 See the Cuisinart Non Stick Grilling Basket gallery images above for more product views. The Cuisinart Non Stick Grilling Basket is sold as a Brand New Unopened Item.